At the heart of every Viventis employee is a People Champion who cares deeply about the personal development and career well-being of every individual. Our flagship programs and special projects are driven by our team’s willingness and openness to share our time and expertise. 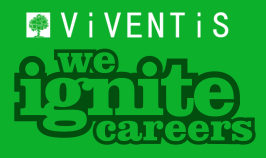 Our very mission of igniting careers has gone far beyond placing individuals in the job of their dreams. It now entails enabling people with the character, confidence and competencies they need to succeed in them. Throughout the years, our company has evolved from occasionally supporting one-off philanthropic activities to developing our very own social and economic development initiatives. In May 2018, we established our Corporate Social Responsibility department to support and empower more members of our country’s workforce. The Career Gear-Up Program was developed for graduating college students of different public schools. Each of our program’s specially designed sessions are aimed at helping them prepare for work in the real world. Now, set to launch this December 2018, the Workforce Reintegration Program is being organized for the many overseas Filipino workers who struggle to find work and readjust to the local culture upon their return. Our hope for them here is a sense of hope and security, being back home. Indeed, our country holds so much potential. And, we believe that most of it is found- in our people.